Tax attorneys represent clients before federal, state, and local taxing authorities, as well as individuals and businesses that are under audit by the Internal Revenue Service. 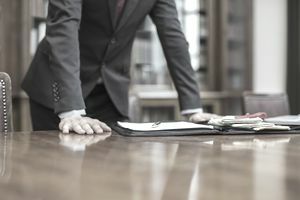 Other roles of a tax attorney include structuring, negotiating, and documenting business entities, and advising clients regarding the tax implications of certain financing, joint ventures, tax-exempt organizations, taxation of compensation, estates, and gifts, and the U.S. taxation of international transactions. Tax attorneys advise corporations and high net worth individuals with respect to all areas of tax law on a day-to-day basis. They monitor legislative developments and advise clients with respect to the potential impact of pending legislation on their businesses and their personal finances. They often work hand-in-hand with corporate in-house counsel. Some tax attorneys work exclusively in estate law. That might sound like a reach, but consider the significant federal estate tax rate, although only very valuable estates are subject to it. A firm understanding of tax law is required to navigate the labyrinth of various trusts, charitable foundations, and other estate-planning tools to avoid or mitigate an estate tax bill that could effectively derail a family business or otherwise leave very little for heirs to inherit. Tax attorneys might appear before federal, state or local taxing authorities. At the federal level, the IRS is somewhat particular about who can represent a taxpayer should a problem or audit arise. Attorneys make the list of approved counsel, as do certified public accountants and enrolled agents. Enrolled agents are licensed at the federal level and must complete a very strenuous testing and application process. Attorneys are considered to have rights to "unlimited" representation of clients, meaning that they do not necessarily have to prepare the tax return that's at issue in order to appear before the IRS or in a federal court on someone's behalf. Tax law is a broad area that encompasses a number of sub-specialties, such as general corporate tax, executive compensation, tax litigation, international tax planning, exempt organizations, and municipal finance. At a minimum, a Juris Doctorate degree is required to work as a tax attorney. And, of course, you must pass a state bar exam and be admitted to the bar there. This exam usually takes place over multiple days. Many tax attorneys are also certified public accountants or CPAs. They may hold MBAs, a Master’s in Business Administration, and/or an LL.M. in taxation. Undergraduate education should ideally focus on some area of the field, such as economic or business majors. Some states offer further certification of tax attorneys after years spent practicing tax law. This, too, usually involves passing some type of testing or exam and it requires a set time period dedicated to working in tax law, typically about five years. The experience must usually be recent. Solid accounting and math skills are a must, as well as excellent oral and written communication skills. Topnotch analytical and critical thinking skills are required to practice in the area of tax law.